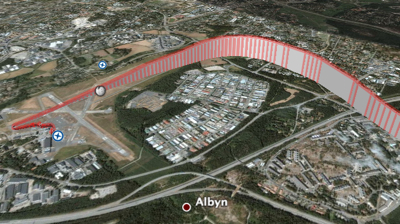 This is probably old news to many, but Google Earth is a very nice tool for visualizing flight track logs. 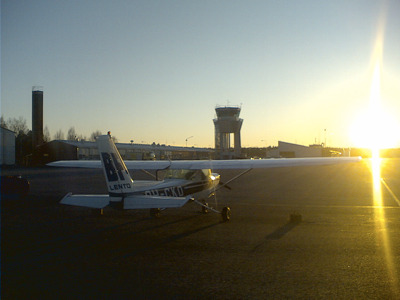 I went yesterday to the Helsinki-Malmi airport, intending to go to the traffic circuit for some landing practice with the club’s “moped Cessna”. Instead, through the magic of the old airport, my plan was changed into flying another plane for maintenance to Joensuu, 500 kilometers away. 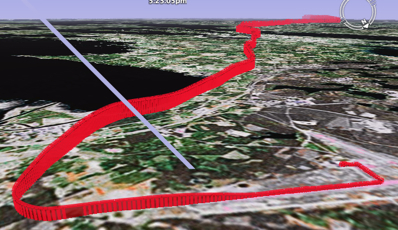 Since Google Earth can also place photos I took on the flight to the map and “play” the flight, the GPS logs become a very nice way to tell trip stories. I will definitely keep taking the logger with me on future trips. There even is a solar charger to keep it running. 17 December 2004. 5 minute read.